The question of how far Taiwanese universities are willing to go to ensure access to Chinese students was raised again this week after the Ministry of Education criticized the handling of complaints from some Chinese students and their parents about two schools. At issue was the way the University Entrance Committee for Mainland Chinese Students had passed along a complaint from China’s Taiwan Affairs Office (TAO) and the way Fu Jen Catholic University and National Cheng Kung University, the subjects of the complaint, responded. New Power Party (NPP) Secretary-General Chen Hui-min, left, is accompanied by NPP Legislator Hsu Yung-ming, center, and Mainland Affairs Council official Huang Ting-hui, right, at a news conference at the Legislative Yuan in Taipei yesterday. 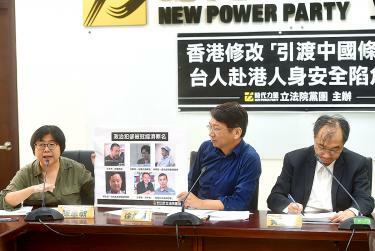 Hong Kong Legislative Council members are considering amending the territory’s extradition laws to define Taiwan as part of China, the New Power Party (NPP) said yesterday. President Tsai Ing-wen talks to reporters at the Presidential Office Building in Taipei yesterday. 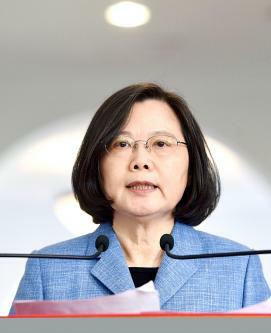 President Tsai Ing-wen (蔡英文) yesterday said that Taiwanese would not accept any political agreement that undermines the nation’s sovereignty or democracy, amid controversy over the Chinese Nationalist Party’s (KMT) plan to ink a cross-strait peace treaty with Beijing if it returns to power next year. 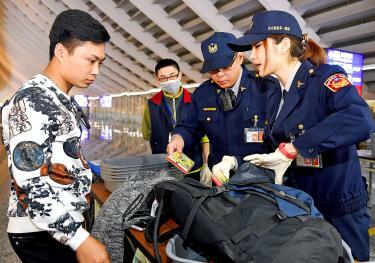 With the increasing and monumental security threat from China, news media and experts like to compare the situations of foreign countries to that of Taiwan to predict the nation’s future. However, due to Taiwan’s unique strategic location, history, and social and economic relations with its biggest threat, China, many analogies drawn between these countries and Taiwan are far-fetched or even erroneous. Taiwan ranks first in Asia and eighth worldwide in gender equality, due mainly to its higher female participation in politics, the Directorate-General of Budget, Accounting and Statistics (DGBAS) said yesterday. The agency came up with the rankings using the criteria in the gender inequality index (GII) introduced by the UN Development Programme (UNDP) in 2010.
International press freedom group Reporters Without Borders (RSF) on Thursday said that it is to open its first Asia office in Taiwan, after the Paris-based organization rejected Hong Kong over concerns that China poses the “biggest threat” to press freedom. Taiwan last year ranked 51st in the organization’s World Press Freedom Index, while Hong Kong was 69th and China 176th.